I feel like I need to go work on folding my sheets better now. We have #4 in our playroom and love it! Holds all our dress ups. 2/6/10 are my favorites. I don’t normally like Walmart but those are cute options. I own number 4 as well and love it. It’s my dirty laundry hamper for my delicates and the like! There are few other options I could see myself buying in the near future, especially number 11! This post could not have come at a better time. I have my sheets, pillow cases, shams, duvet covers sorted, king, queen, twin. I take way too much time sorting them each time they are washed. Sometimes, I even (hold on) iron everything AND THEN THEY GET CRAMMED INTO A CEDAR CHEST AND A WAY-TOO-SMALL LINEN CLOSET ! It is exhausting to dress a bed each week. I just made my first New Year’s Resolution. Thanks, Emily ! We have #4 and were using them for hampers in everyone’s rooms. They are cute, but not too functional for boys. If their clothes don’t go perfectly in the hamper, it smashes down. SO…we’re in the process of re-purposing them for “catch-alls” in the basement and first floor. That seems to work much better! Walmart for the win! Glad to hear you found some stylish and affordable options there! I would have never thought you founds these at Walmart! I often times forget to check there. I like the BHG line too for pillows, lamps and accessories. Thanks for the tip! I’ve found quite a few pretty storage items from Walmart, in fact cuter than some of my usual go to stores! Great round up!! Good to know! I have several organization projects planned this winter, so I need make a run to WalMart it seems! 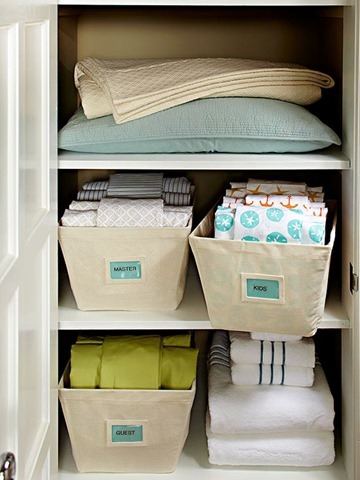 Great storage ideas! I definitely have to visit WalMart ! They have great stuff there! Greetings, Storage Shacklewell Ltd.
Great stuff to find in WalMart! These are great storage solutions for home! Definitely have to visit! Thanks! Storage Northockendon Ltd.
#1, 8 and 10 are my fave! Look wonderful – and I applaud your WalMart finds!